Fans of most clubs would no doubt bite your hand off if you offered them a versatile midfielder who would reach double figures for goals and assists, play nearly every game and was still in his early twenties. Hibs have exactly that in Stevie Mallan, but the former Barnsley man is something of a polarising figure with the Easter Road faithful. A quick glance on social media midway through the season would have presented a rather negative view of the ex-St Mirren youngster, despite a near-perfect start to life in green and white with a debut double in the Europa League qualifier against NSI Runavik and the same again in the return leg in the Faroe Islands. Mallan’s arrival coincided with the departure of Dylan McGeouch to Sunderland and Scott Allan’s return to parent club Celtic and although he briefly played alongside fellow former Buddy John McGinn, the Scotland international had joined Aston Villa by the end of the summer transfer window, and the last third of what was widely regarded as the best midfield outwith Celtic last season had left the building. Former Hibs head coach Neil Lennon accepted he would have a hard time replacing the trio, but the lengthy pursuit of Mallan, the near-constant link with a return for Allan - permanent or otherwise - and the arrival of veteran Australia international Mark Milligan and Republic of Ireland cap Daryl Horgan to join Marvin Bartley, Vykintas Slivka and the emerging talent of Fraser Murray looked like good acquisitions on paper. Throughout a season where Hibs have used 35 players in total, and myriad combinations in midfield under Lennon, joint caretaker-managers Eddie May and Grant Murray, and now Paul Heckingbottom, Mallan has been the one constant as he has featured in every game bar one, and has played the full 90 minutes in all but six matches - as well as the full 120 minutes plus penalties of the Betfred Cup quarter-final defeat to Aberdeen in September. Like most players in the squad, he suffered a dip in form mid-season but since the departure of Lennon has scored three goals and contributed five assists, including the winner against Livingston last month, and the pass for Daryl Horgan’s decisive second against Hearts at Tynecastle last weekend. He has 13 goals and 11 assists for the season so far, and it’s not inconceivable that both those numbers will rise before the end of the season. It’s worth remembering that Mallan only turned 23 last month but has already played more than 160 senior games for St Mirren, Barnsley and Hibs. His stats this term are all the more impressive given he played just eight times last season and completed the full 90 minutes in just half of those matches. He stands a very good chance of winning the club’s Player of the Year award - although Hibs fans will ensure there is plenty of competition - but while there’s no question that the new coaching staff have benefited the team as a whole, and many individuals, the work Heckingbottom has done with Mallan is particularly notable. He’s filled four positions, operating on the left and right of midfield, as well as in the middle and just behind the front two. Heckingbottom’s tactical awareness has seen him tweak his formation to get the best out of his squad, and it’s to Mallan’s credit that, wherever he is asked to play, he tends to deliver. Ostensibly a central midfielder, the bulk of his goals and assists under Heckingbottom have come from left or right midfield. Mallan’s adaptability has had a positive effect on his team-mates too. His ability to operate on either side of the midfield has allowed Vykintas Slivka to operate in a more central role when called upon, which has got the best out of him, while Stephane Omeonga has also been accommodated in the middle. 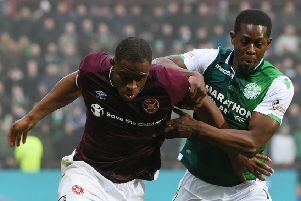 As soon as Hibs took the lead against Hearts, Heckingbottom changed things up, pushing Omeonga further forward to give the defence an out-ball, and getting Mallan to sit deeper. It worked well as Hibs created a further three chances as a result of the switch. Heckingbottom’s tactical nous has rightly received plentiful praise but his squad have played a big part in its success, none more so than Mallan. In terms of Mallan’s team-mates, Lewis Stevenson has, as usual, been a model of consistency at left-back while the arrival of forward Marc McNulty and midfielder Stephane Omeonga at the halfway point of the season have seen Hibs play with a renewed sense of vigour. 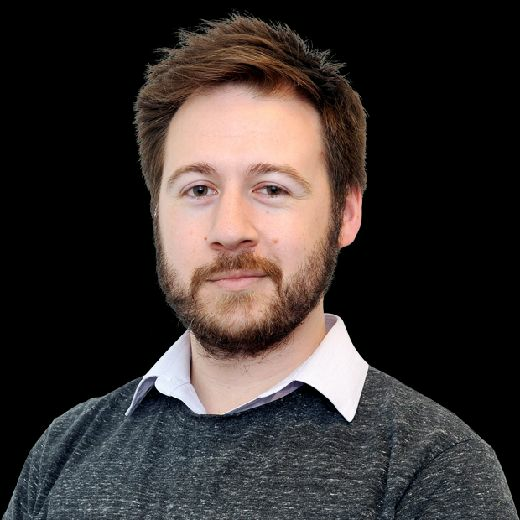 In defence, right-back and club captain David Gray, and veteran centre-half Darren McGregor, have had decent campaigns while winger Daryl Horgan has been quietly effective in midfield, although his output suffered following Lennon’s decision to shoehorn him into the number 10 role in a bid to spark some creativity into his stuttering team during the autumn / winter dip. Florian Kamberi hasn’t had the same impact as his first few months with the club but has still racked up 13 goals and seven assists and the striker remains a popular character with fans and players while versatile midfielder / defender Mark Milligan has grown into a key player since his return from the Asian Cup. Mallan has been picked by every management combination Hibs have had this season, but what sets him apart from colleagues such as Slivka or Stevenson is what he brings to the team. He may not have the enforcer tendencies of Marvin Bartley, or the light-footedness of Ryan Gauld, but 13 goals and 11 assists so far make it hard to leave him on the bench. No other Easter Road midfielder has come close to contributing similar. It’s unlikely that Mallan will repeat those numbers next season, especially with Scott Allan in the team, but his versatility and threat from dead balls, as well as his willingness to shoot from pretty much anywhere inside the opponent’s half makes him a very useful player to have around - especially under a head coach like Heckingbottom. A case could be made for any of three or four players to win Hibs’ Player of the Year award - but none as convincing as Mallan’s.